Chuck Bass from Gossip Girl is one of my favorite characters in television history. Actor Ed Westwick played the wealthy, boozy, womanizing cad with a heart of gold to perfection. So when I learned that Westwick was headlining the new ABC series Wicked City (which was unfortunately just cancelled), I was floored. And when I learned said series was being lensed in Los Angeles, I was ecstatic. Before being axed, Wicked City planned on following the format of True Detective and American Horror Story: each season was to focus on a different storyline and a different period of Los Angeles’ history. Season 1, which is loosely based on the real life Sunset Strip Killers, follows Kent Galloway (Westwick) and Betty Beaumontaine (Erika Christensen)—Bonnie-and-Clyde-style murderers who massacre women they meet on the Strip during the summer of 1982. 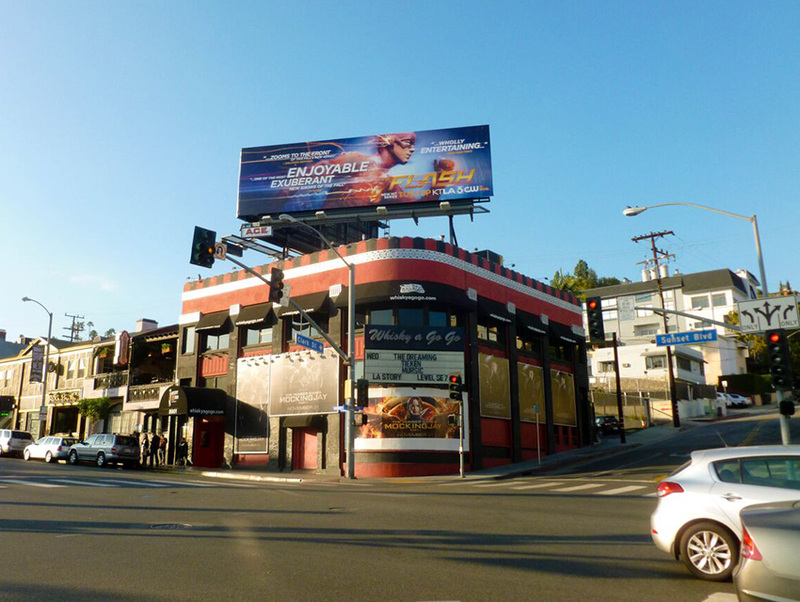 The iconic Whisky a Go Go, located at 8901 Sunset Boulevard in West Hollywood, figures heavily in the storyline. I have never been especially into music. (If it’s not sung by Michael Bublé, Britney Spears or Michael Jackson and wasn’t a top ’80s hit, chances are I haven’t heard of that song you’re talking about.) But I have stalked the Whisky. Last November, some good friends who happen to be music buffs came to town and wanted to see the club. We showed up in the late afternoon, hours before the place was open, but a sign on the front door stated that anyone looking to buy merchandise could call the main office during daylight hours. We did and, after my friends pretty much bought out the club’s entire inventory of memorabilia, we scored a private tour. 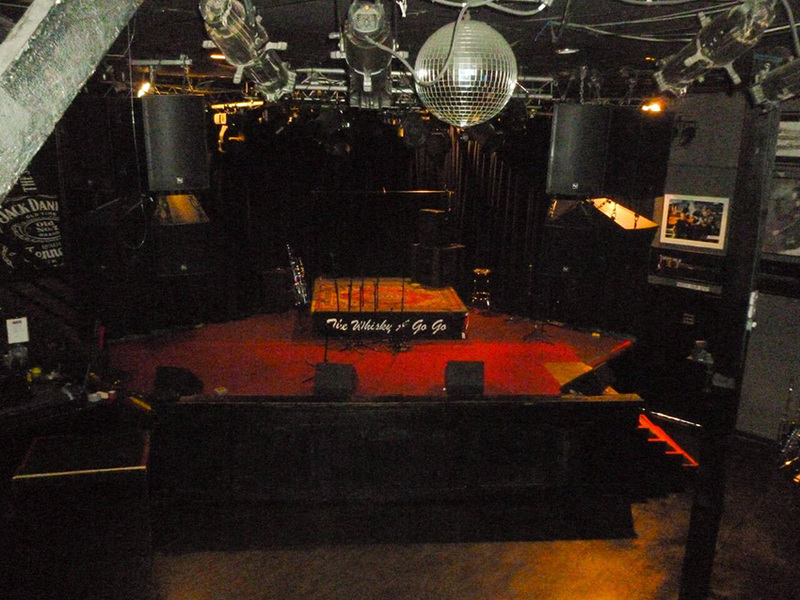 It was incredible to see the Whisky a Go Go during off hours and sans crowds. We even got to hop up on the legendary stage to pose for photos. The significance of standing in such a famous spot was not lost on me. The Whisky was founded on January 15, 1964 by a Chicago policeman turned restauranteur named Elmer Valentine, who had happened upon a discotheque named Whisky a Go Go in Paris the previous year. With the help of three investors, he opened his new club inside of an old Bank of American branch. Thanks to a bit of rogue ingenuity, it became an overnight success and remains so to this day. The club is packed to the gills virtually every night. In addition to establishing the Go-Go craze stateside, the Whiskey is where acts including the Doors, Chicago, and Led Zeppelin got their starts. The venue is also a popular filming location. Dustin Hoffman and Katharine Ross first share a kiss outside the club in the 1967 classic The Graduate. The Whisky plays itself in The Doors and The Banger Sisters, and served as the inspiration for the fictional Bourbon Club in Rock of Ages. In Wicked City, the Whisky serves as Kent and Betty’s hunting ground, and it’s where detectives Jack Roth (Jeremy Sisto) and Paco Contreras (Gabriel Luna) investigate the killings. Both the interior and the exterior of the property are used extensively on the show. 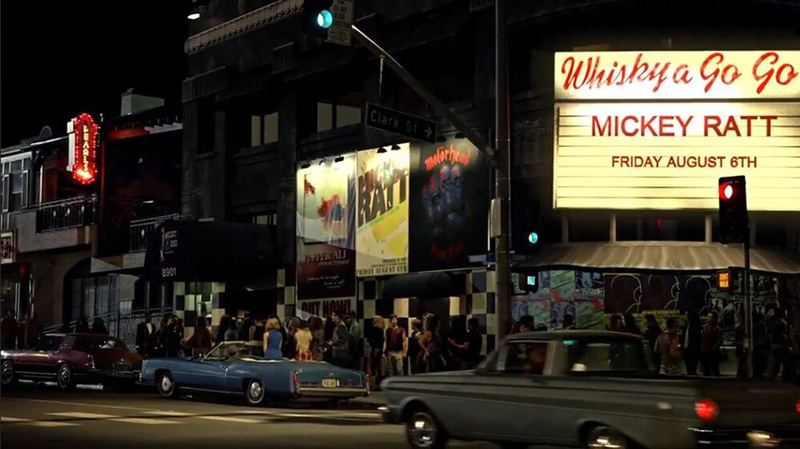 Other locales featured in Wicked City include Hollywood Forever Cemetery (where the headless body of a murder victim is found in the pilot episode), Villa Restaurant (where Kent first meets Betty), and Los Angeles Center Studios (the exterior of the main building stands in for the LAPD and the series also makes use of the lot’s sound stages). Kent’s lair is the oft-filmed Starkman Building. And the historic Villa Carlotta is where Jack and Paco make a gruesome discovery in the apartment of a 1979 murder victim. Despite its intensely dark and gory nature, the series manages to capture the elegance and allure of L.A. beautifully. The writing is sharp and witty and the acting captivating. I am disheartened that it was yanked from the air at such an early stage. Here’s hoping another network steps in to rescue the show. In the meantime, I’ll continue to tune in each Tuesday night to catch my beloved Ed Westwick onscreen.